Ha! 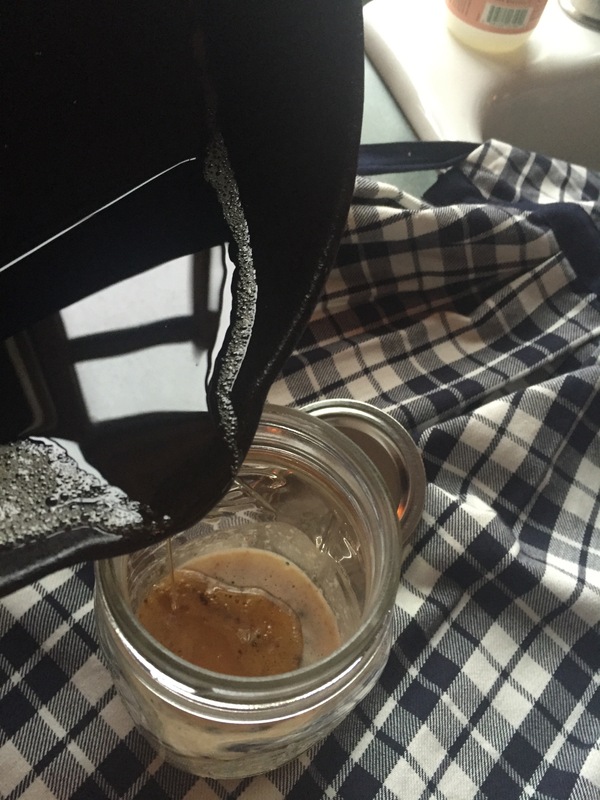 Then I became a farmer… Hens lay eggs man. And we have to figure out ways to use them up! Don’t get me wrong, I REALLY appreciate the summer abundance of eggs. Over the winter my hens barely produce at all. They hate the cold and I’m happily surprised when I find an egg or two each week. But summer time… I can’t give away enough! 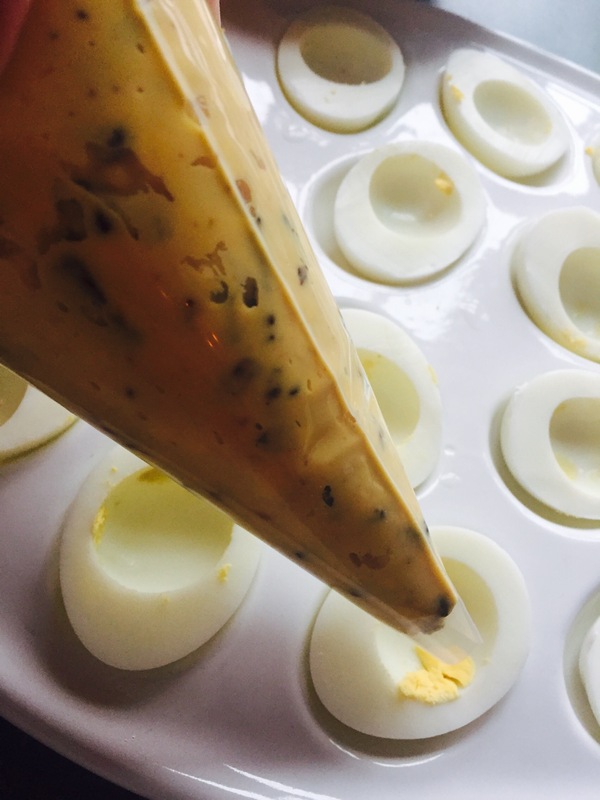 Anyway, my prejudice against deviled eggs quickly went away when I started experimenting with different recipes to use all our eggs and when I came up with this one!! These days people put just about anything in a deviled egg. 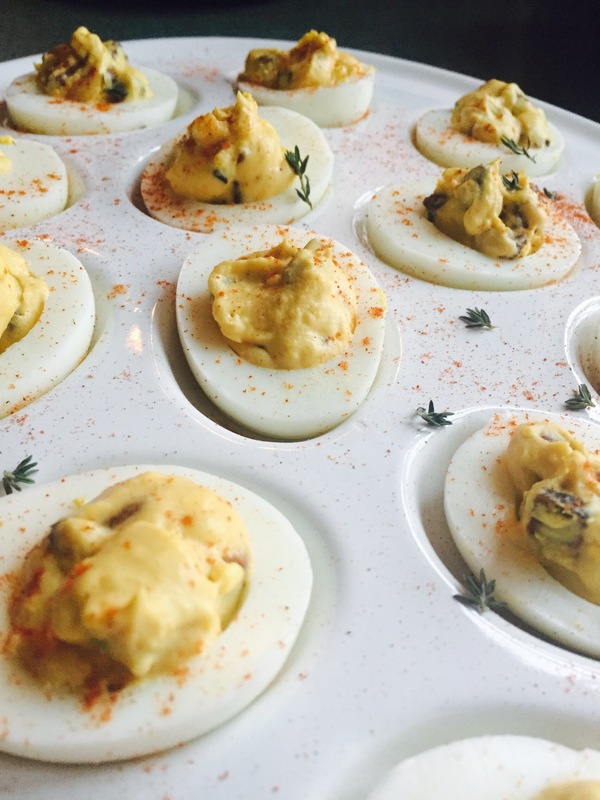 I’ve seen guacamole deviled eggs, buffalo chicken deviled eggs, even curry chicken deviled eggs !! I can’t lie…. 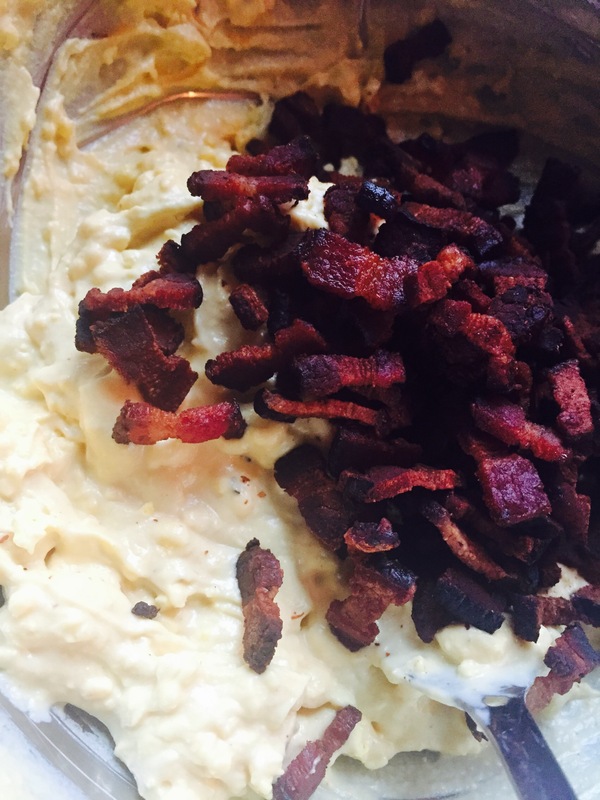 Those all sound pretty delicious but when I think eggs… My next thought is ALWAYS bacon!! This is totally one of those keep it simple stupid type of recipes. 4 ingredients, boom done!!! However, as simple as they are, they are flavor packed!!! They have become a family favorite! 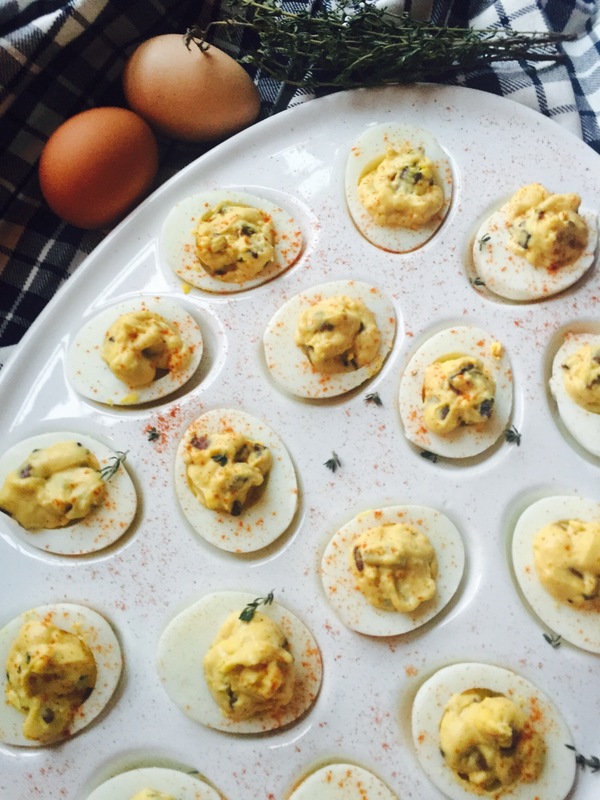 You can’t eat just one… These deviled eggs totally win the Pringles award- once you pop the fun don’t stop!! Yeah… I just said that. Anyway, start with your hard boiled eggs. Cut them in half and plop all their beautiful yellow yolks into a mixing bowl. Slice up 1/2 a lb of bacon. 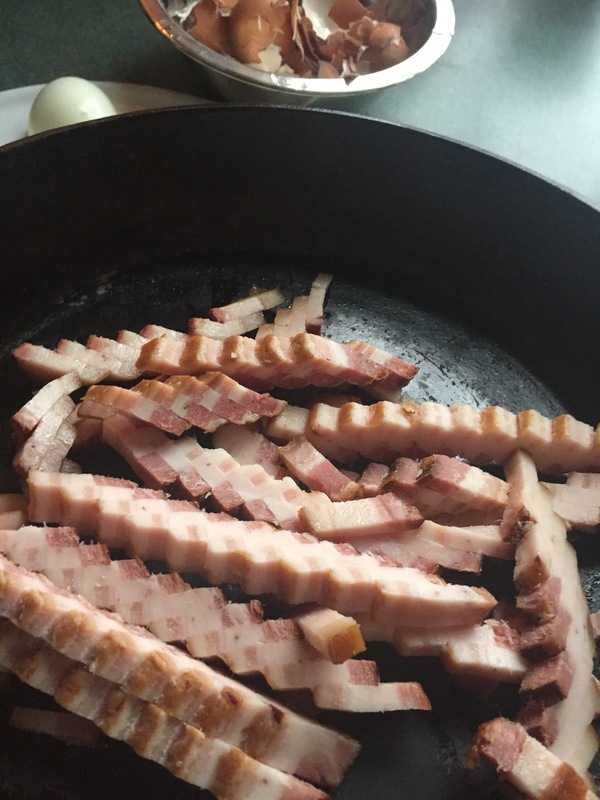 I find this is easier if you put the bacon in the freezer for a half an hour or so first… Makes for easy slicing! Fry it up!!!! Make it all crispy and AMAZING! Move the bacon bits to a paper towel covered plate. Now things get even yummier! 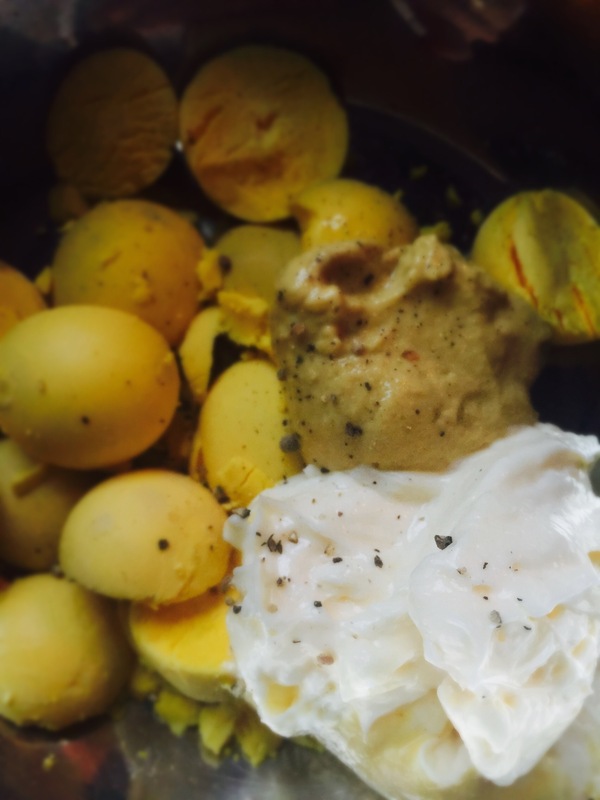 Mix the yolks with 1 HEAPING tbsp of Dijon mustard, 2 HEAPING tbsp’s of mayonnaise and a pinch of black pepper. Put all that super tasty filling into a piping bag or large zip lock bag. Pipe the filling back into those eggs and garnish with a little paprika for added color! Give these a try…Betcha can’t eat just one!!! 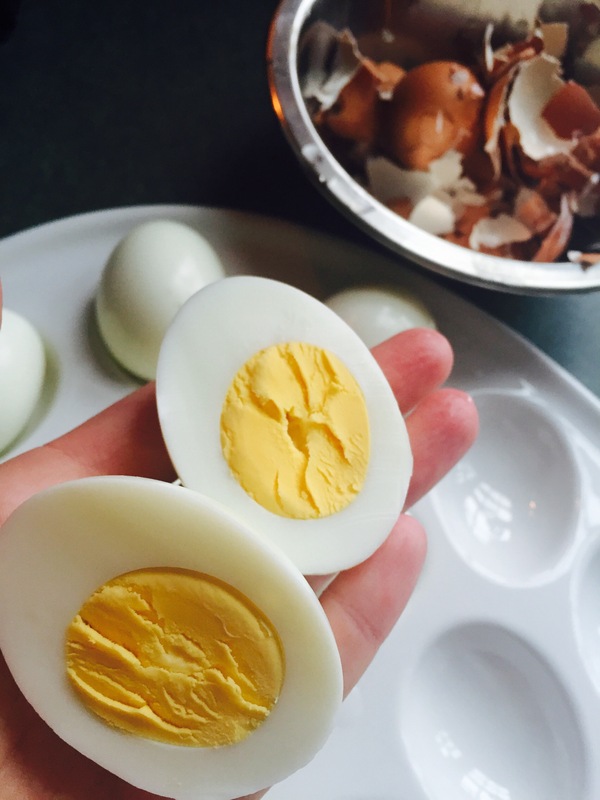 Cut hard boiled eggs in half. Remove yolks and mix with remaining ingredients till smooth. Place the filling into a piping bag and fill the eggs. Garnish with a pinch of paprika for color.